I’ve seen a lot of articles about what to include in a bug out bag, but there is one item that is often left out of BOB lists, and that is a pair of binoculars. Why do you need binoculars? If you are on the move, binoculars will help you spot potential hazards such as blocked roadways, predators such as bears or hostile parties ahead of you, as well as find ways to avoid them. You can also find possible shelter or cover to protect your from view. In the midst of a disaster, you can use binoculars to keep track of your party or help search for injured or missing people. 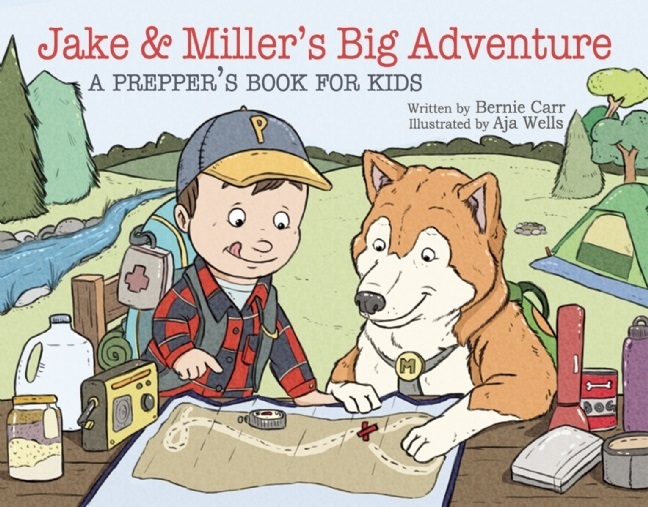 If you are hunkering down in a camp or bug out retreat, you can stand watch and spot and incoming intruders or predators before they get close to your area. If you need to hunt for food, a pair of binoculars will come in handy for spotting game animals, their paths and habitat. Similarly, you can use your binoculars to spot schools of fish swimming just under the water’s surface or find out where the seagulls are congregating for food. What about your rifle scope? If you don’t have anything else, you can use a rifle scope for spotting far away objects, but binoculars are better for this purpose because they cover a larger field of view. Binoculars will allow you to spot whatever you are looking for a lot quicker than a small scope. In a disaster, when time is of the essence, you’d want the faster option. Another reason a rifle scope would be less desirable than binoculars is the possibility that you will be perceived as a threat as you are pointing the rifle (with the scope) at someone. Sure, you know you are merely trying to get a good view but strangers would not know what you are doing and may become aggressive toward you if you appear to be pointing your weapon at them. It would also be very unwieldy to have to climb a tree or ledge with your rifle. If you choose to remove the scope, you may waste valuable time. 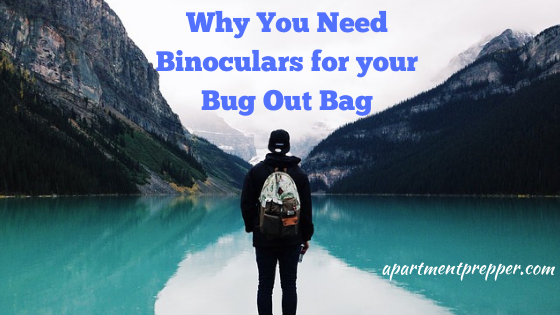 While you are packing your bug out bag, you might as well choose to carry a good pair of binoculars. The level of magnification is an important consideration: a magnification of eight means the object you are viewing is eight times closer, or eight times bigger. For a bug out bag, it is important to carry a lightweight & compact pair of binoculars to save weight and packing space. 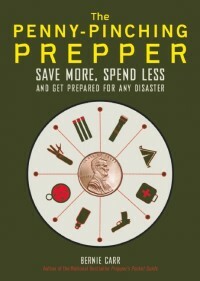 Check your survival kit or bug out bag – did you include a pair of binoculars? In a survival situation, you’ll be glad you did. I have used good quality compact binoculars for years hunting. They a small and light weight and fold down in to their padded case as a very small package. Buy the best you can afford cheap binoculars are not worth wasting your money. Another thing is that using binoculars to scan verses a rifle scope is the amount of movement. It takes very little movement so scan an area verse using a scoped rifle. And you may want to stay concealed. These are great points Ben. Staying concealed is a priority as well as being able to scan an area quickly, making binoculars a great item to have with you even if you have a scoped rifle. Thanks for the comment!